Featuring softly diffused alabaster glass on a finely crafted frame, this style blends well with today's home fashion. The rich, antiqued metallic finish adds warmth and visual interest to create a distinguished appearance. Casual with a modern flair to provide the perfect accent to your decor. The Clayton Collection is a traditionally rooted design with graceful arching arms and vintage elements. Retro-modern drum shades provide warmth and texture with linen fabric in a soft side pleat. Functional turnkeys provide both a bit of utility and visual interest - allowing shades to be directed at your choosing. 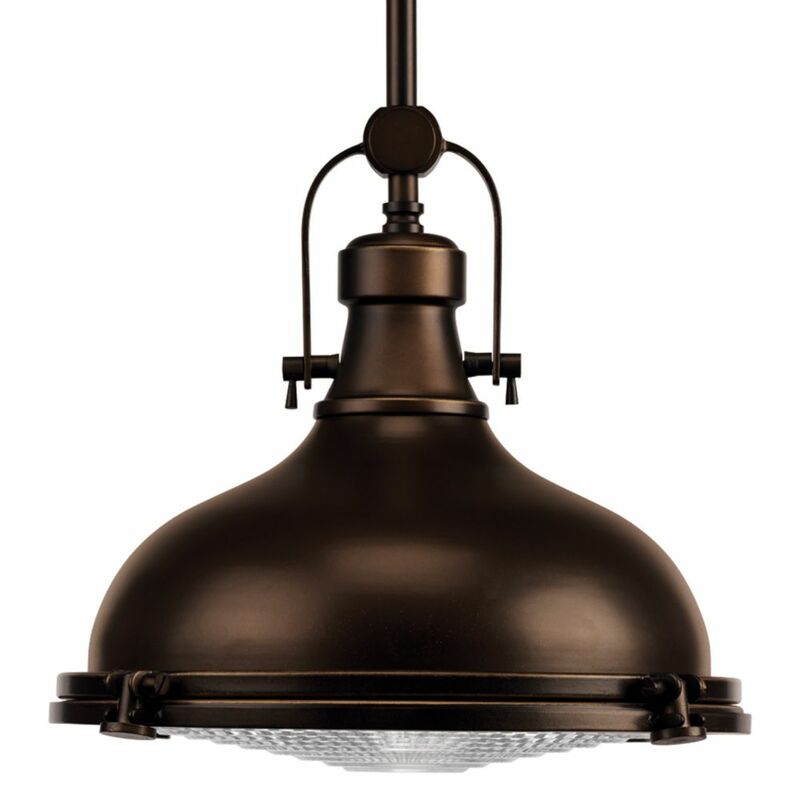 Fresnel Lens Collection 1-light Antique Bronze Foyer Pendant Vintage and modern in styling, this pendant is born from industrial roots in both form and function. An authentic fresnel type glass lens refracts light from the metal shade. The lens is supported by a series of decorative and functional metal fittings for easy access to change the light bulb when needed. Stem-type hanging system provides several options for installation height and includes 6 in. of chain for installation on sloped ceilings. Fresnel Lens Collection 1-light Antique Bronze Foyer Pendant is rated 5.0 out of 5 by 1. Rated 5 out of 5 by Paula from Perfect. We bought two to hang over the peninsula in our new kitchen and they are perfect. Well made, beautiful and well priced. Can you buy an extension kit for this? Is this light available in a brushed nickel or chrome finish?